The purpose of a will is as significant as it is straight-forward, it is to ensure that your wishes are adhered to and your personal assets rightly distributed after your death. Do not let someone else make these decisions for you! 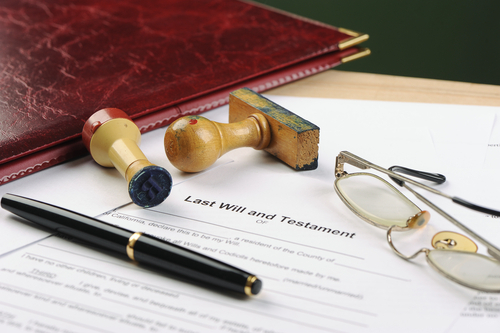 You should review your will at sensible intervals or after significant changes in your life. Your circumstances, your views about people and consequently, your views on life may change. Is the will you drafted at age 30 accurate and the same you as you would draft at age 80? Possibly not. A will is something that needs to be updated and maintained over time, so let Bathurst Brown & Downie LLP do the hard work and take care of this for you. At Bathurst Brown & Downie LLP, we know how important it is to keep reviewing your will after every few years and specifically after life-changing events. Come and discuss it with us and keep peace of mind that your will is up-to-date and in safe hands. At Bathurst Brown & Downie LLP, we possess years of experience dealing with probate. As it is an extremely difficult time for friends and families, Bathurst Brown & Downie LLP can help to make it as painless as possible. We can help to guide you through the complex procedures that need to be followed in order for the deceased’s wishes to be carried out and the beneficiaries to receive their bequests. Bathurst Brown & Downie LLP believe that families should be relieved of dealing with probate as much as possible, so they can focus on dealing with their grief and remembering their loved ones. Bathurst Brown & Downie LLP will be there with legal and practical support throughout this extremely difficult time.